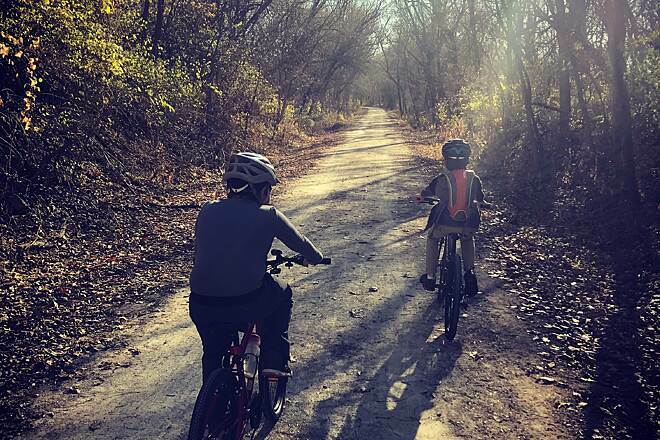 A Rails-to-Trails Conservancy Hall of Fame rail-trail, the Wabash Trace Nature Trail earns its title—providing an amazing trip through the rural forests and countryside of southwest Iowa. 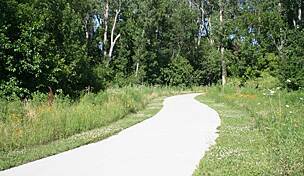 The trail takes you on a 62.6-mile journey from Council Bluffs (just outside of Omaha, Nebraska) all the way to the Iowa–Missouri border in Blanchard, Iowa—which boasts a population of fewer than 50 residents—passing through certified trail towns along the way, some that are burgeoning with shops and destinations and others that are quaint and rustic. 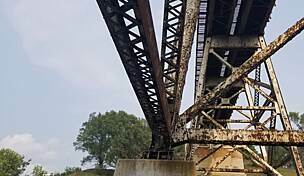 The trail’s roots go back to the Wabash Railroad—and the famous Wabash Cannonball, a passenger train that connected St. Louis and Detroit—which was one of the most important connections between the farmlands, factories, and people of the American heartland and points east in the late 19th and early 20th centuries. 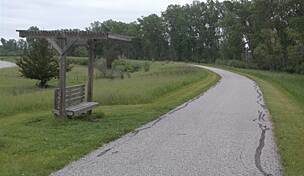 Today, the Wabash Trace Nature Trail is known for its peacefulness, amazing vistas, secluded wooded sections, and encounters with wildlife. The trail also has become a social hot spot for people in the Council Bluffs and Mineola areas who enjoy Thursday night “Taco Rides,” bike rides organized in the spirit of supper and good times. In Shenandoah, the annual Wabash Trace Nature Trail Marathon, Half Marathon, and Marathon Relay take place each September. 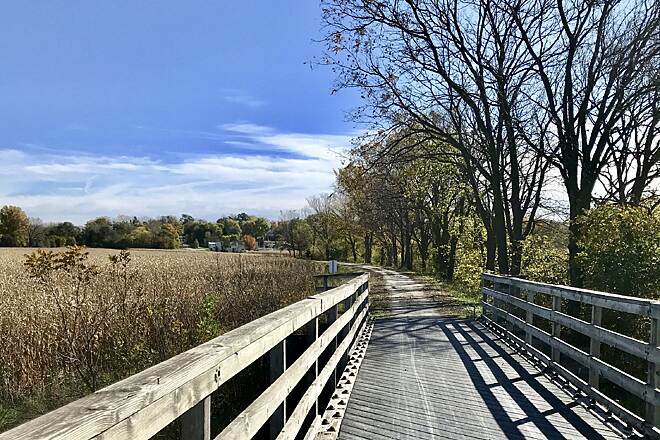 Starting in Council Bluffs, the trail begins at Iowa West Foundation Trailhead Park, where it links with the 7.2-mile Valley View Trail heading northward and the 7.5-mile Lake Manawa Trail that heads west and curves around its namesake. 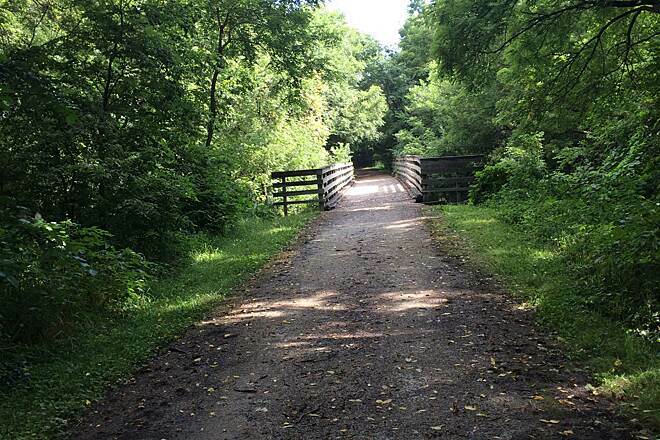 Be prepared for the most populated portion of the Wabash Trace Nature Trail and the most strenuous; there are approximately 6 miles of gentle climb leaving the town heading southeast. Following the trail, you’ll pass through an area known as the Loess Hills, named for the fine, wind-deposited soils that created the corrugated landscape. The Loess Hills are home to some of the best remaining native prairies and woodlands in the state and also provide crucial habitat to prairie wildlife such as red-tailed hawks. The trail makes its way to downtown Silver City, where there are a handful of amenities, including a water fountain (one of few along the route, so a good opportunity to fill up), small stores, and a bike shop. Of note at Silver City Centennial Park—along the trail at 287th Street/Main Street and Second Street—is a time capsule that is set to be opened in 2029! Approximately 22 miles into the route, the Malvern trailhead features water and parking, and the town offers a haven for trail users, with a pharmacy, cafés, and shops. The city square is an homage to trail users and cyclists, with interesting sculptures and murals decorating the downtown. 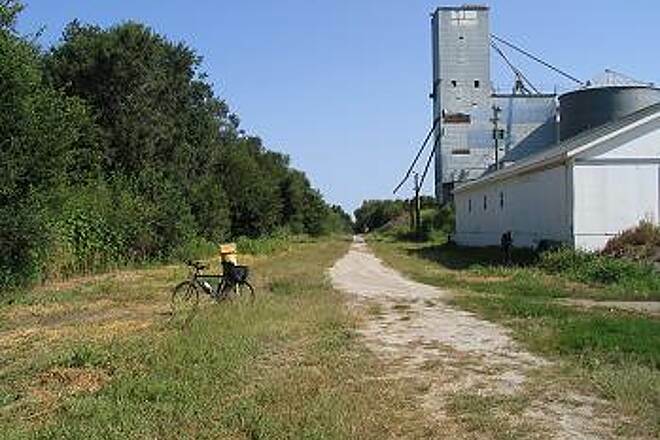 Your next stop is Imogene, where a unique trailhead offers restrooms and showers inside a refurbished grain bin; here, you’ll also find an unpaved parking lot, picnic tables, a bike rack, and several primitive camping sites. 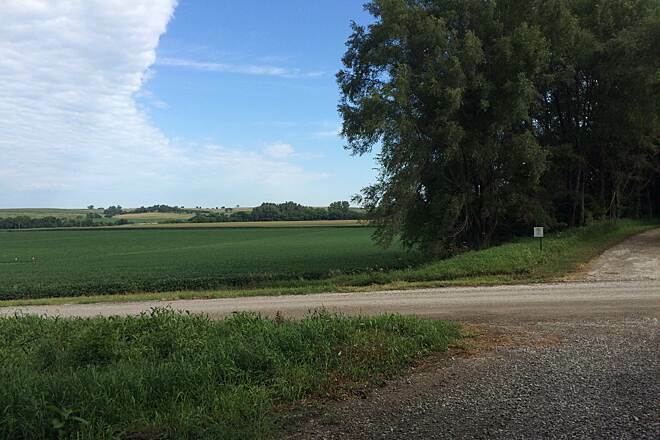 Leaving Imogene, the trip takes on a markedly rural feel, with the crushed-stone trail giving the illusion of traveling a country road that opens up to vistas of farm fields. 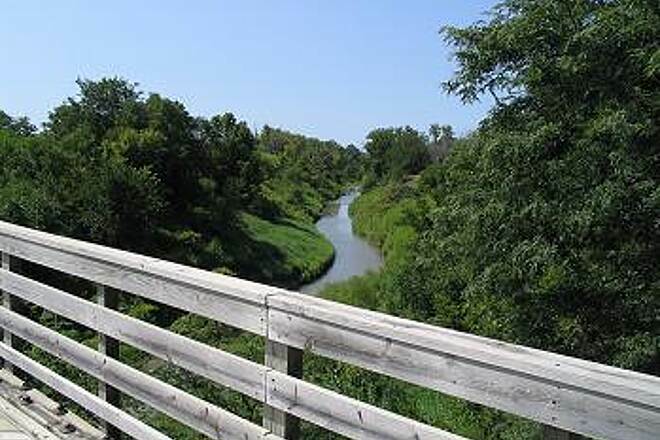 Your journey will literally take you over the river and through the woods, crossing a number of waterways, including Keg Creek, Silver Creek, Little Creek, the East Nishnabotna River, Deer Creek, Hunter Branch, and countless other small streams and creeks, making this a wonderful trail for those who love scenic bridges. History and railroad buffs will appreciate two train-car wreckages easily spotted off of the path. The first appears in Mineola, where several train cars tumble down the embankment to the left of the trail. The second is located when you cross over Silver Creek outside of Malvern; there you’ll see the remnants of a 1960s train derailment with ruined boxcars lying in the riverbed. Heading south, you’ll pass through the towns of Shenandoah, Coin, and Blanchard, where the trail concludes at the Missouri border. The longest stretch between towns is less than 14 miles, so you’re never too far away from civilization but are often well outside of mobile phone coverage. 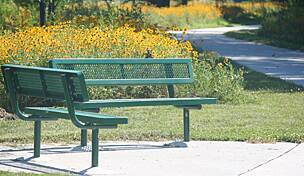 Trailheads at Council Bluffs, Mineola, Silver City, Imogene, and Coin offer parking, picnic tables, and bike racks. 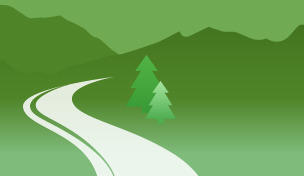 For this rural journey, be sure to pack water, bug repellent, and a first aid kit. 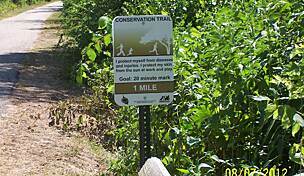 Trail amenities are few and far between, and you may go long stretches before encountering other trail users. It’s easy to feel isolated—which for some may be a plus. What you won’t generally feel is sunburned: while farmland and open sky stretch for miles on end, the original 100-foot-wide railway corridor was preserved and is often thick with trees, sometimes merging overhead to form a living canopy. 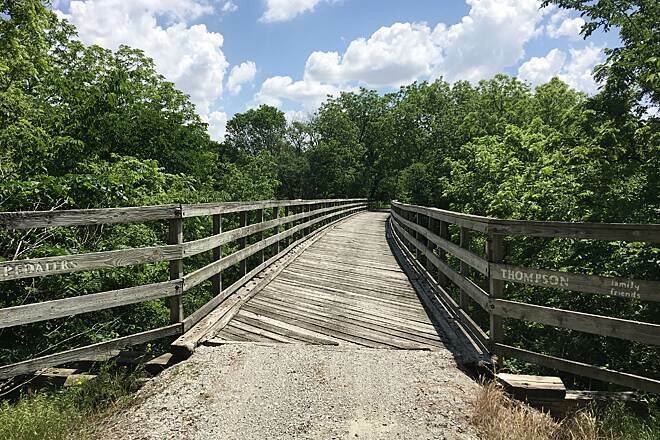 For those with horses, an equestrian trail parallels the main Wabash Trace Nature Trail for 9.6 miles from Council Bluffs to Mineola. Trail users must purchase a day pass, available at most trailheads, for $1. Annual passes are also available for $12 at the trail website. To reach Iowa West Foundation Trailhead Park in Council Bluffs from I-29, take Exit 47 for SR 92 E, and head east for 0.7 mile. Turn right onto Harry Langdon Blvd., and go 0.7 mile. Turn right onto E. South Omaha Bridge Road, and turn right into the park. Signage for the park and the Wabash Trace Nature Trail is well marked from the street. 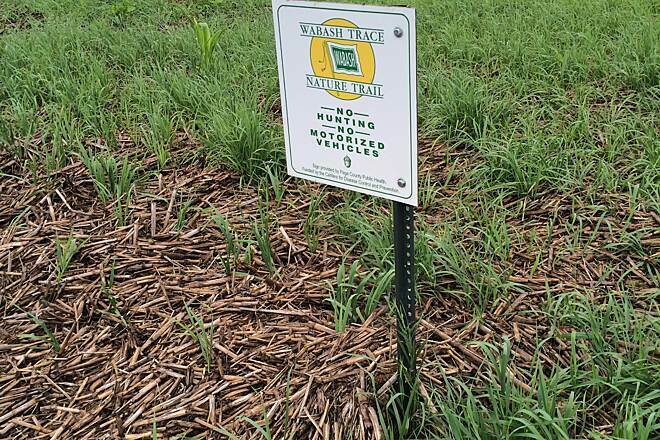 The closest dedicated parking to the southern endpoint is located in Shenandoah near Four Mile Creek in Waubonsie Park. To reach the parking area from SR 2, head north on A Ave., go 0.7 mile, and continue on S. Center St. for 1.3 miles. 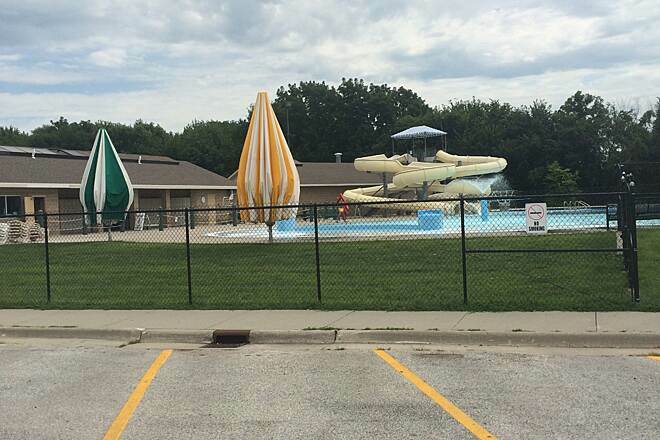 Turn right onto Ferguson Road and look for the parking lot on your right in about a half block, by Waubonsie Park. 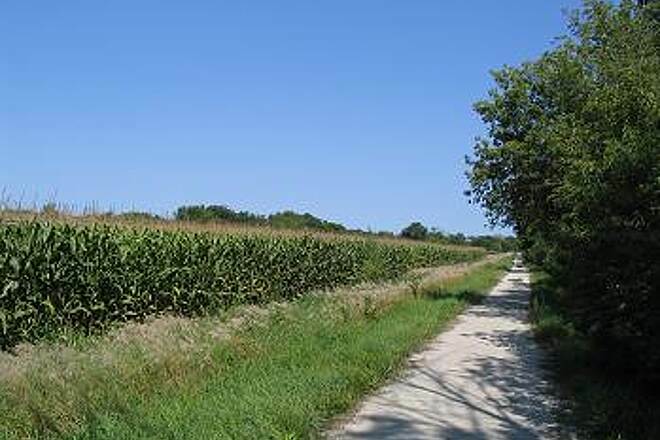 The southern endpoint is located about 17.7 miles along the trail southeast at N. Railroad St. and the Iowa–Missouri state line. Trail from CB to Malvern is great right now. Detour is no big deal - maybe two minutes of dismount and walking. However the trail from Malvern to Imogene when we went was soft - those 13 miles felt like alot longer. However, there was pie in Malvern and that made it better! I really like this trail. It's very well maintained and a pleasure to ride even in hot weather. It's one of the few trails that has a canopy of trees for miles. It is my favorite for a reason. I've been on it a lot this summer and will continue to ride it. I never tire of it. It's that good. Beautiful, shady trail! The bridges are banked, which I think is very cool. We started at Council Bluffs, and went past Silver City, an adorable, tiny town. Tomorrow, I look forward to starting in Shenandoah on the Wabash-Trace, and heading north. Nice path for my pup and me! Love this trail. Period. 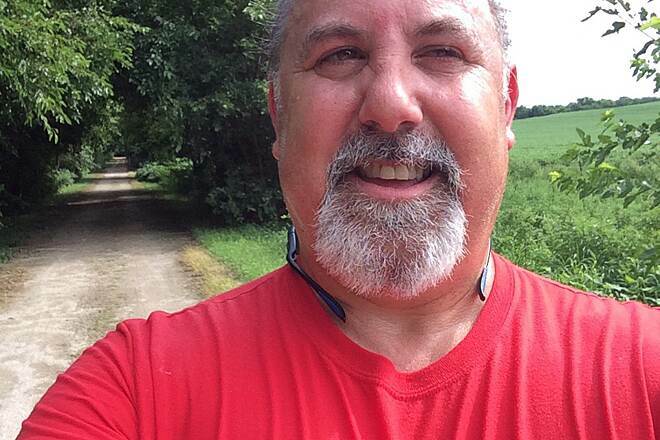 Have enjoyed many a bike ride and long run on the Wabash Trace Trail. Awe-inspiring sunrises, countless deer and Autumn/Winter scenes to rival the best cinematography Hollywood has to offer... have been some of the top reasons I believe this is the best trail in the Greater Omaha/Council Bluffs area. It always feels a little like I'm going back in time when I run this trail; back to a quieter, simpler era. I marvel at the glory of God's creation with every step I take on the Wabash Trace Trail. Whether you enjoy a short hike, a long run or a 100-mile bike ride, you won't be disappointed with this trail! we're over 60 years old and were looking for a long ride challenge. We completed a 2-day round trip from Shenandoah MP at 362 to Council Bluffs at MP 407 and back, with a motel stay at the Western Inn in Council Bluffs, the closest motel to the trailhead there. We parked our car near the Depot in Shenandoah, and and began the 44 mile trip on our road bikes on a mild summer day. Stopped for lunch at one of the 2 restaurants in Malvern, about the halfway point for us. The hills are gentle and most of the route is in shade. 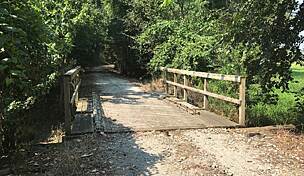 The trail condition was great- compacted crushed limestone with only a few soft spots and the bridge surfaces and bridge approaches are good. It took us about 5.5 hours of riding each way. Be sure to purchase the trail pass at the Depot to help pay for maintenance and get a trail map - there's a lot of history displayed in the Depot. As you will see, there are a lot of bridges they must maintain on the trail. In Council Bluffs to get to Western Inn, its about 1.5 miles from trailhead. Continue on the trail along the high school, cross Harry Langdon Blvd and take the paved path on the campus of Iowa School for the Deaf to the left, it curves around to the right (northeast) near the intersection with highway 92, but you end up at the corner of Valley View and 92. Then you cross 92 and you are on the Valley View bike trail. Go about 3/4 mile to Madison Ave, go left (the sidewalk is on the north side of Madison), and the motel will be on your right after about 200 yards. Services along this route are limited; in Imogene there is a bar/grill and the town has provided a small camping area with bathroom right next to the trail. Malvern has a grocery store, pharmacy, 2 restaurants. Silver City has a shelter, a bar and a small store that stocks snacks and spare bike tubes right by the trail. Mineola has a restaurant. 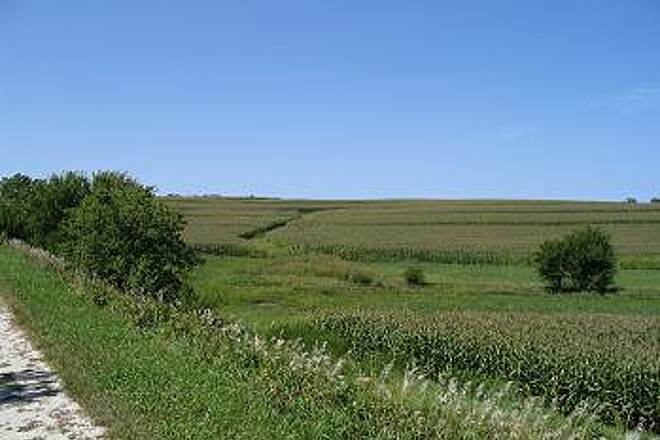 From about mile 401 to 404 there is a long grade down into the Missouri river valley at Council Bluffs. This was a well-earned opportunity to coast a while and get some muscle relief. And coming back, we attacked the hill while we were fresh the next morning. The portion of the trail closest to CB is the busiest, but we went miles without seeing anyone else on the most remote stretches. 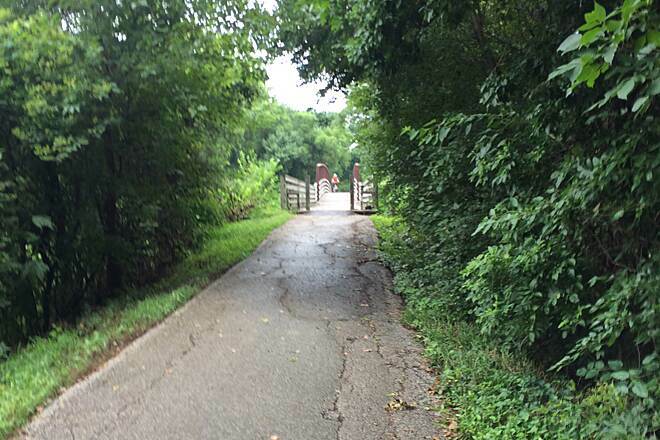 There is a way to connect with the trail along the Missouri river levee, and eventually with the Bob Kerry pedestrian bridge over the MO river (which really is worth seeing) into Omaha but we did not figure out how to make the connection as we were too tired. We'll do that on another trip. I found the trail on this app. 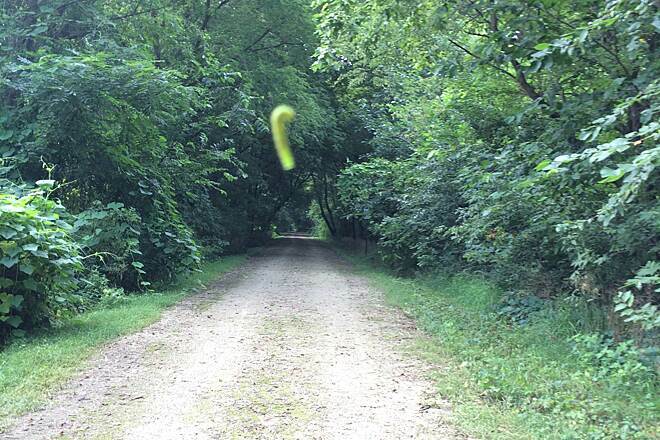 I started in Shanendoah and went north you might want some bug spray for a few miles on the trail. I saw in less than 10 people for my 13 mile run it was very quiet and peaceful. Most were on bicycles if you were running. 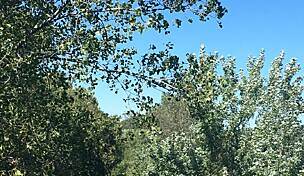 I found crabapples and BlackBerries along the way and beautiful views of farms. Shanendoah has a pool so I was able to park there and felt very safe. This is a beautiful trail and shaded all of the way. The trail running back toward Shanendoah reminded me of a trail in Germany and Shanendoah had bells ringing from the church it sounded like a Karelian. And put a nice finish on my first half marathon. We enjoyed the ride. We Hit one spot and all our tires went flat. We did very much enjoy the ride other than that. Found a county park that was nice and cheap!! I have ridden the trail several times since 1997. I have seen years where portions of it were washed out but it gets fixed. I usually camp when I ride the trail and carry my supplies. It is easy to find camping spots. Although they may not necessarily be "official", there are lots of forest areas where you can just pitch a tent. No one has ever bothered me. If you need a shower, Coin, Shenandoah, Malvern all offer amenities and the trailhead in Council Bluffs is only a couple of miles from Lake Manawa. What I like about it is there are very few people and it is nowhere near the road in most places. Much of it is in the shade as well. I love the trail and will keep riding it as long as it is there or as long as I am capable. I have went from one end to the other and found the shade this trail has saves on the sun block ,which i don't care to much for ,it has grades wich aren't to bad as im a large man and 74 , a fat man, bike and hills don't do good togeather, but i enjoy this trial very much .There are some eating places along the way ,your cell phone don't get out the best in a lot of area but who needs phones when your out and getting away form it all .The trail is kept up well as far as im concern some bridges are not the best on the aproches ,the road bed is of a fine gravle of some kind and is a good on around 6 to 8 feet wide, and don't forget the toco run on thursday nights in menola a large amount of riders do this every week and fun for those who like this tipe of eating and refreshments from the north head it is 10 miles about 5 up and 5 down and you can go to silver city and come back north on your bike only 4 mile one way . You'll love it so do it some time. 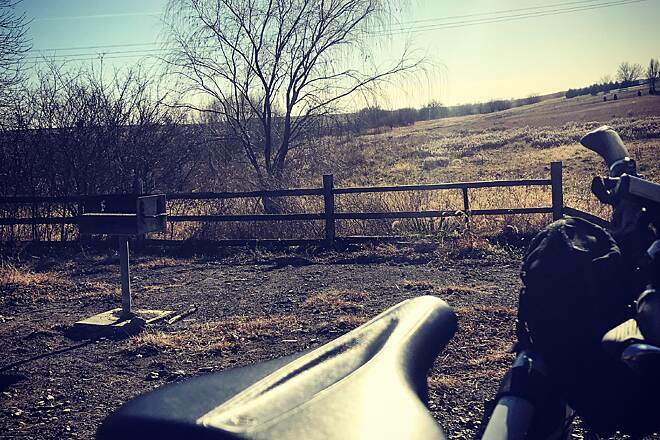 I'd best some up this experience as similar to riding the Katy Trail, but without the fantastic scenery that trail offers in spades in its central section. Many bridges to cross and endless cornfields. I rode sections (about half) of the trail over a two-day period. I started with Coin to Blanchard. This must be the most desolate and least-ridden section as no other riders or walkers were encountered. Trees were down across the trail just south of Coin but I went through them and soldiered on. There was much tree debris on the trail that I constantly had to dodge. Don't even think of using a road bike here. 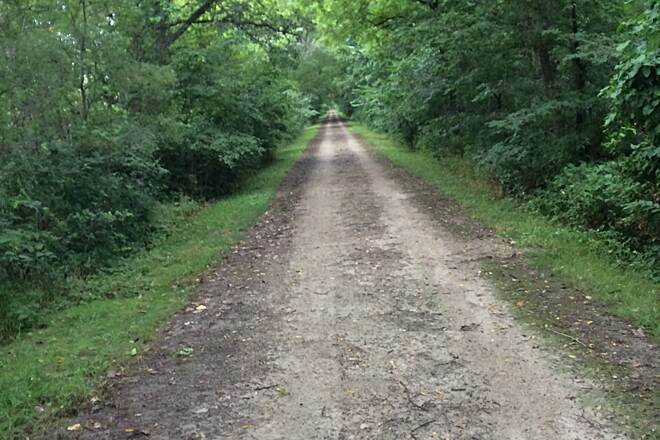 Upon reaching Blanchard, I chose to ride the paved road that parallels the trail back to Coin; I encountered no vehicles travelling on the road when returning. I noticed more trees were across the trail just north of Coin so I called it an evening at point. Someone should put up a sign in Blanchard indicating the "trail ends here". The next day I put on a Shenandoah and rode to Imogene, then back and rode south to Hwy 2 and back to Shenandoah (30.61 miles). The trail is paved going north out of Shenandoah for about a mile, which helps. There is a charming Irish bar at Imogene and a historic Catholic church up the hill from the trail in Imogene that's worth a visit if open. A meal or home-made beer at the Depot Restaurant in Shenendoah is worth stopping for. As this was a Tuesday, I had to ride to Mineola for the famous "taco night". I came in from the south putting on at Malvern; RT to Mineola and back is 26.72 miles. Again, a section (about a mile of so) is paved leaving Malvern. This is a nice scenic ride and many others were using the trail. Eating at Mineola Steakhouse was cool (I had a table to myself outside) but I would recommend getting there early (before 6:00 pm) to avoid the crowds. Silver City, a tidy small town, also has places to eat right next to the trail if you don't wish to go all the way to Mineola. I live in Prairie Village Kansas and look forward to returning to ride the remaining sections. Too bad Missouri chose not to save their section of the rail right-of-way; if so the trail could have been about twice as long as it is currently. But I am thankful for what was saved. The Trace remains as beautiful as ever. I've been riding it since 1995 and continue to enjoy its beauty and near complete solitude in certain stretches. Currently I'm walking with my new adopted dog varying iterations between MP 405, Wabash Avenue, to MP 401 not far beyond Dumfries and no longer mapped formally. I've ridden between the trailhead and Malvern extensively. The varying terrain, backyards, old railroad bridges, flora and fauna are endlessly fascinating. Trail etiquette is generally very good although some cyclists still do not announce an imminent pass. With the quality of bikes these days as well as the excellent trail condition, it's difficult to hear them coming until it's almost too late to react. I'm from California and have lived both north and south as well as in St. Louis both with vast trail systems or on-road riding opportunities. I survived the Downieville Downhill. Still, discovering the Trace just a mile from my house has been a long-term positive experience not found even in areas with better climate. 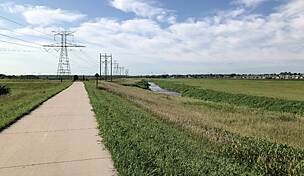 As an aside, the path also winds from the Trailhead north through west Council Bluffs to Playland Park where you can ride or walk over the new Bob Kerry Pedestrian Bridge across the Missouri River. This is a beautiful suspension bridge that ends in a pedestrian mall on the Omaha side. There are further paved paths north and south of the bridge although they are currently stubs. There's a fun restaurant right at the base and you're quite close to trendy shops and restaurants [primarily evening dining] a few blocks south in the Old Market. "After reading the previous reviews, I expect a rough and difficult trail. I found just the opposite. We rode from the Council Bluffs trailhead and experienced a very enjoyable ride. Yes, there were a few bridges that had nailheads showing and a few gopher holes, but overall the trail was in good shape. We only rode for 20 miles so I can only speak for the portion we rode. The first 6 miles was up hill gradually, but was great coming back. " 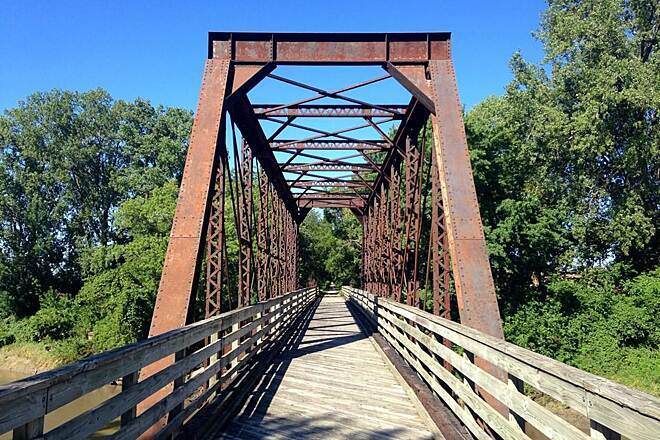 "We drove up from Kansas City to ride this 63 mile rail-trail through Iowa. We went all the way from Blanchard to Council Bluffs on Saturday and back to Blanchard on Sunday. 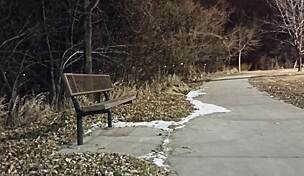 From reading past posts on this trail, I see that most of the negative issues from past posts have been addressed by the people who take care of the trail. For instance the town of Coin now has water and a restroom in a park right next to the trail. A prior post complained of no services. This is a wild trail ride for bike riders who travel on flatter trails or through more populated areas. This means that you need to be prepared for a much more self sustaining ride. The ride is pretty hard due to the hill grades. We averaged only 8 mile per hour with luggage packs. We normally ride better than 10 miles an hour on other rail trails. So it was 8 hours going and 9 hours getting back. The pay back on the hills were numerous down hills of a mile or so where you did not have to peddle at all. The places to get water are pretty much limited to Coin, Shanadoah, Malvern, and Council Bluffs. Riders should bring enough water to last them 3 or 4 hours on a hot day. You do not want to get dehydrated on this remote trail. 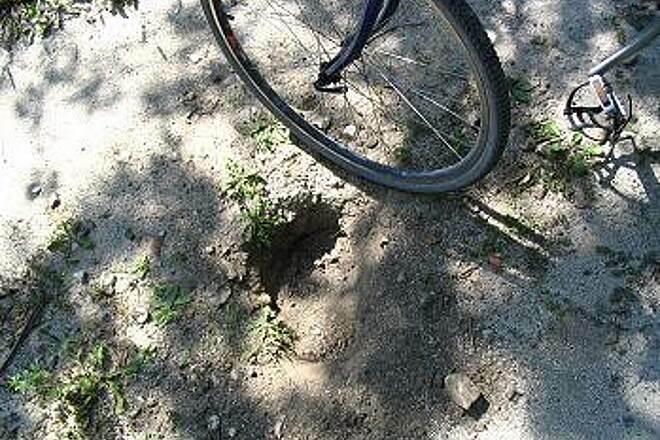 There are critters that have dug a series of bowling ball sized holes in the center crack in the trail in several stretches, particularly north of Coin. You have to keep an eye open or you could get thrown off your bike hitting these holes. 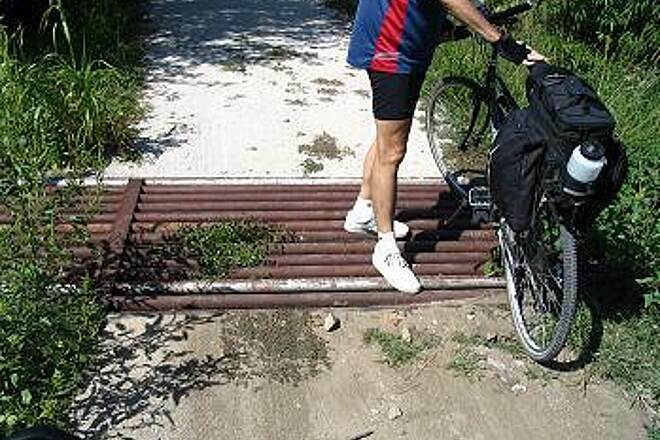 There is also a pair of cattle guards at one trail crossing that you should walk over. The transition from trail to bridges are sometimes 3 or more inches and could give you a pinch flat, so you have to be careful on and off the bridges. I would suggest a rider bring more than one spare inner tube. If you have one flat you will be paranoid about getting a second one. You occationally broad head nails sticking up 1/2 inch or more on bridges which could tear your tire and no inner tube will save you. You would need a new tire. There is little or no cell phone service for some stretches. You are really alone. Ride with a friend. Be prepared. Having said all of that, the ride really is beautiful. The rolling hills give you great vistas of countryside. People have ""adopted"" stretches of the trail and have kept it up. Signs tell you who has adopted the trail as you travel. 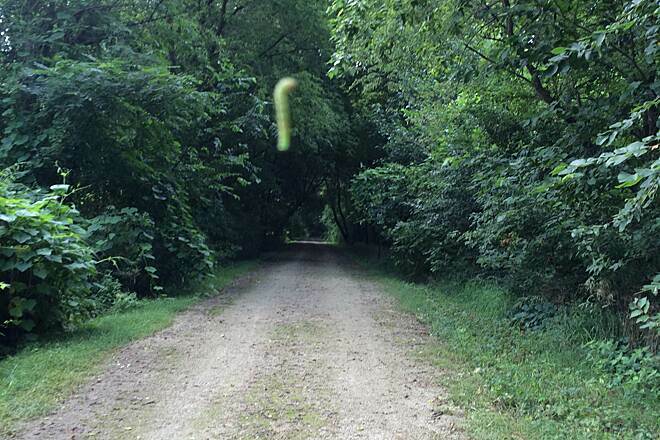 There is no debris on the trail. We could see fresh tractor tread prints where equipment had recently hauled fallen trees off the trail and we saw big tractors mowing the shoulders as we rode. It was really wonderful to see so much care taken to this linear park. The only negative is that the less used southern end of the trail is weedy compared to the north end. 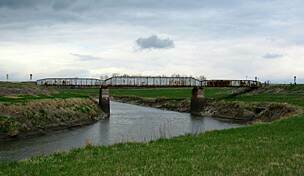 There are lots of rivers and creeks that are crossed with bridges and several of them have very nice views. In Shanadoah, we stopped at the Depot Deli which is also a brewery. 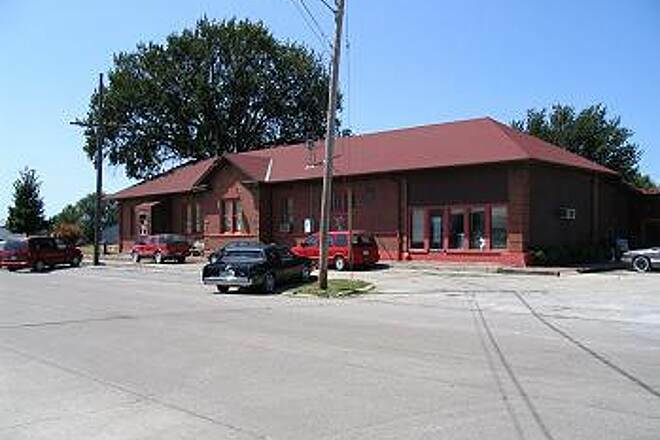 It is in a rehabbed train depot on the intersecting rail easement in town (on Railroad Ave). The service and food were great. The staff brought us a big pitcher of ice water when we came in and sat down. Malvern has an ice cream parlor called Pat's that you can see from the trail. We stayed at the Western Inn in Council Bluffs. You can ride to it on a trail parallel to Highway 92 through the School for the Deaf next to the trail head and then up the bike trail next to Valley View Road up to Madison Avenue. The trail head at Blanchard was somewhat confusing since there were no signs. We found the trail and parked our car at the top of the hill by the post office. We found the ""permit"" stations in neglect. Most had no forms, envelopes, or permits. Only cobwebs. We found one with a supply of mailing envelopes in a baggy and will mail the money to the trail. This was a great ride over all. It took 17 hours to complete and was one heck of a ""spin class""." 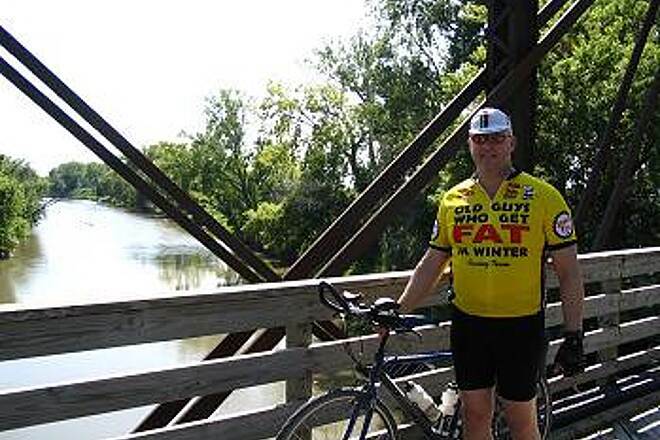 "The Wabash Trail is a wonderful ride. 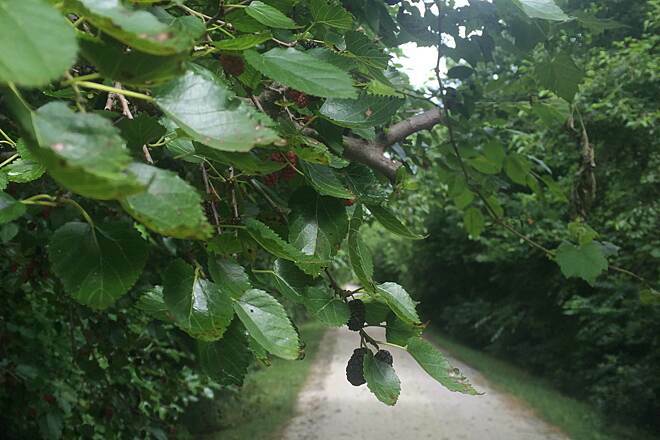 But, please, be careful as the trail does have some washouts and there are sometimes branches down on the trail." "I would have to agree with other reviews that if you're coming from the north, tacking on the miles to get to Blanchard might be a disappointment. Less than 20 miles more and the right of way hits Maryville, MO, a significant ending point and my college town. Has anyone ever looked into extending it to make the destination more worthwhile? They are developing the trail through town here in Maryville...why not to Blanchard? " 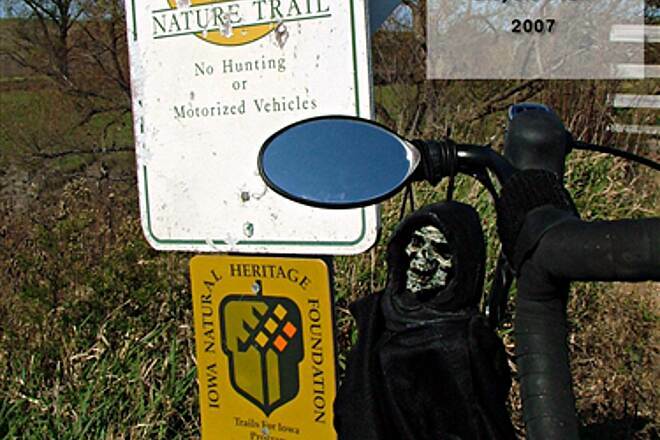 "We rode the trail from Council Bluffs to Imogene and back on September 12, 2002. It's a great ride, but I want to alert riders to some large holes in trail just after railroad mile marker 382. The holes are long, narrow and deep. And, as they parallel the trail, they are perfect for catching a bike tire and causing a nasty spill. Luckily most of these are located near the center of the path, but some are partly hidden by vegetation. Several of the bridges in this area and closer to Imogene have large nails that are sticking up from the bridge decking. Some over an inch. Hitting one of these could ruin your ride. Be watchful and ride safe. " "In contrast to the reviewer of 10/17/2000, we love the stretch of the Trace from Shenandoah to Blanchard. The surface is equal to the north part of the Trace. A beautiful long bridge with a great view about 5 miles north of Coin. 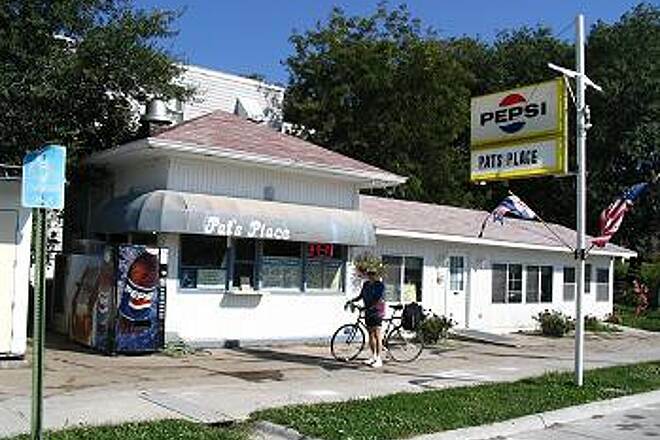 Three new guest houses in Coin and Blanchard, along with a new Hotel Cafe in Blanchard have been added during 2001. Camping facilities are available in both communities. The trees are arched over the Trace in many spots. The Trace is great for cross-country skiing, also. We use the southern half of the Trace frequently, and have near isolation, except for the deer and rabbits. " 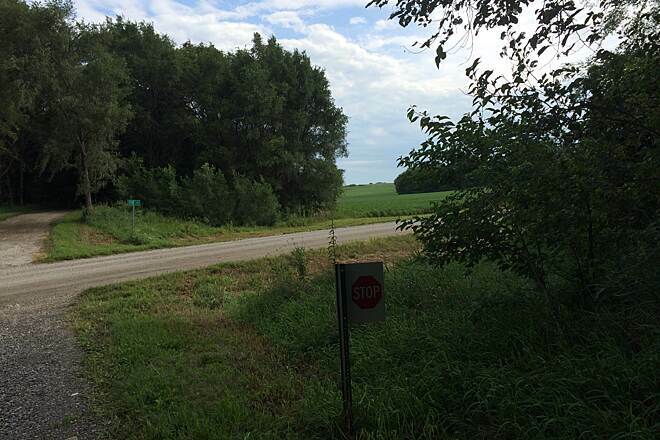 "This is a great trail running over sixty miles through southwest Iowa. Its a bit on the rough side (thats what gives it its charm), so a hybrid or cyclo-cross at least should be ridden. Mountain Bikes are no problem. 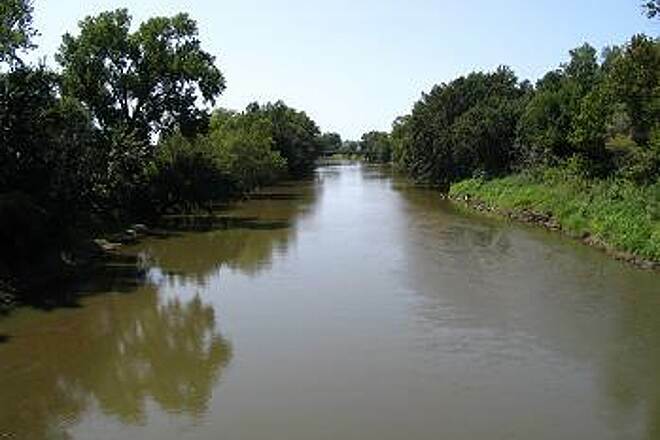 The part I do the most is from Council Bluffs to the West Nishnabotna River (4 miles south of Malvern). It works out to be just over 50 miles round trip). I know it like the back of my hand. The first two sections, CB to Mineola and Mineola to Silver City are the most scenic and have the steepest bluffs, good work out! The whole trail is crushed limestone which also makes for a good work out. Malvern to Shenandoah and Imogene to Coin are also good sections of the trail to ride. There are many small towns well placed along the trail about every ten to fifteen miles or less in some cases, so its easy to hop on and off anywhere along the trail." I'ts great - love that out-in-the-country atmosphere! Why don't you list it for SW Iowa? I had to search with trail name! "If you have the chance to ride the Trace on a Thursday evening, the steakhouse in Minneola, IA is worth visiting. 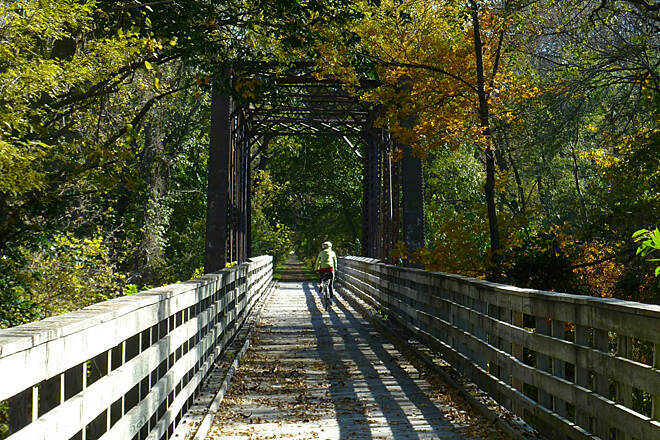 Mineola is only 10 miles from the Council Bluffs trailhead. Taco night features good food and drink and attracts large numbers of riders. Don't forget to bring your lights. " "The Wabash has come a long way, but it still has a ways to go before I'd agree with Outside Magazine's glowing review. The first 10 miles or so out of Council Bluffs is very scenic, through the geologically significant Loess Hills of Western Iowa. In Silver City there is a nice ice cream/sandwich shop. Malvern has a decent saloon ... as does Imogene, the next town down the trail. Past Imogene, the trail becomes flat as a pancake and not very scenic at all. 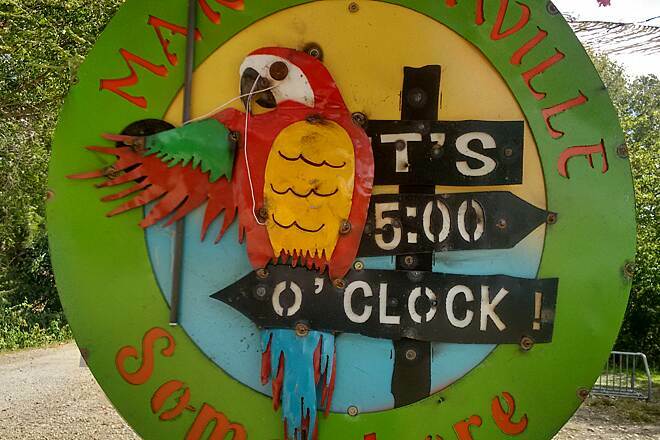 Shenandoah offers motels, taverns and a highly overrated ""brew pub"" in an old rail depot. The service there is rude, the food mediocre at best and the beer tasted like it was made in a bathtub. If you make it as far as Shenandoah, go into town and eat at the buffet/bar on main street. I would not suggest venturing past Shenandoah. The trail is too new and too unmaintained to make the 20 mile trip to the Missouri border worth it. On top of which, the last two ""towns"" on the trail (Coin and Blanchard) offer nothing as far as water or provisions. All in all, I'd rate the Wabash about two out of five stars. Ride the 30 miles to Imogene, drink at The Shamrock, camp behind the bar, then ride back to Council Bluffs. Anything more would be a waste of time." "This is one very sweet ride. The trail is well marked, well maintained, and attracts large numbers of riders. 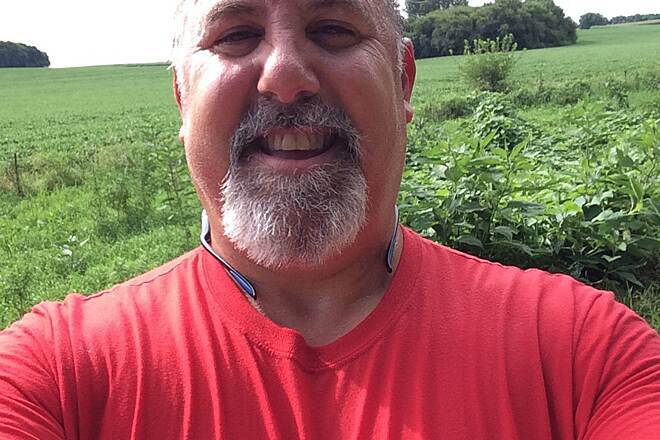 I have only ridden a 30 mile stretch of the trail starting from council bluffs Iowa, but plan many more. One thing I would like to say to the people of Iowa; you have no idea how lucky you are. I'm a full time law student from Tennessee. A State where we have only TWO rails to trails paths that allow biking. One of those trails is within minutes of my home. It is the longest in the State, and is all of FOUR miles long. 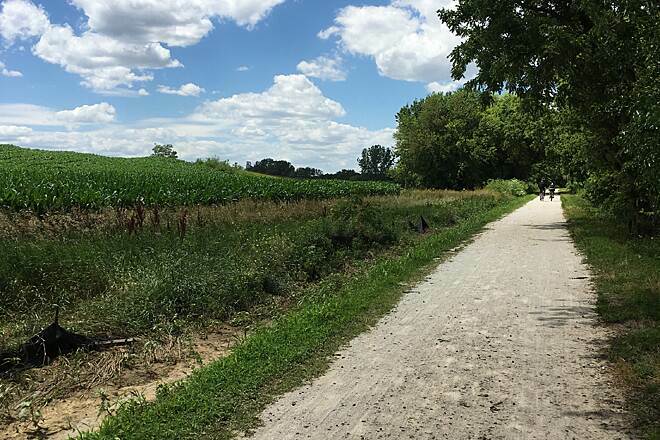 The local residents are opposed to expanding this trail as they are afraid of the ""bad elements"" a rails to trails ride would bring onto ""their"" property. I wish they could see what has been done in Iowa, and the kind of riders such a trail really attracts.